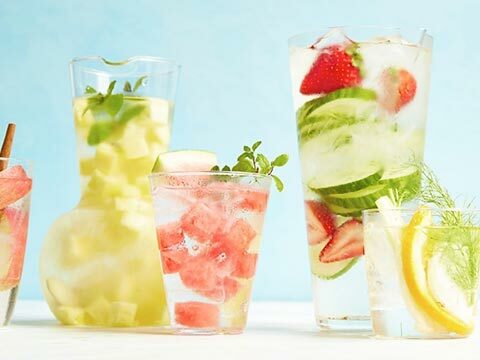 Flavored water is not just a new phenomenon, but it is likely to take the Indian beverage industry by storm. It serves a refreshing alternative to sodas, colas, juices and other sweetened beverages. It’s just like in earlier times Maharajas drank water with Indian Herbs to stay healthy and fit. Water processing units are exploring ways to add as much Indian herbs as possible into the daily dose of drinking water, not only to diversify their business, but also to add value to their struggling bottled water industry. According to the latest research on liquid flavor market, the size was over USD 7.5 billion in 2015 and is projected to exceed USD 11.5 billion by 2024, at more than 4.2 per cent CAGR. Rise in processed food and beverage consumption is expected to fuel global liquid flavors market demand. “Naturally, flavoured water is a luxurious concept for the Indian market. We want to target the fine-dine avenues and five stars that invite people, who believe in complete indulgence. I don’t think it’s limited to luxury, but a matter of choice in good health. Typically males/females in the age group of 25-44 years are looking to be individuals and challenge convention. They are hunters of individuality”, shared Vikram Dhall, MD, Hindustan Liquid. Flavored water promotes healthy lifestyle as the flavors propel people to consume more water, which will make them healthy.. These days, even the dietitian’s recommends people to intake minimum of 64 ounces of water a day, potentially depending more on rehydration needs. India has a huge market for flavored water. "We see abundant opportunity in the beverage industry and in the sparkling (carbonated drinks) category," said Coca-Cola Asia Pacific President to a National daily. He further added, "The long-term growth of the beverage industry is being propelled by globalisation, urbanisation and growth of the middle class." DuPont Nutrition & Health launches a new range of GRINDSTED JU Systems for the South Asia market. “Consumers’ preference for affordable, convenient and delicious beverages continues to grow year on year. To provide consumers with better-for-you options that taste great and align with their daily needs, we have created a range of innovative systems solutions using on-trend ingredients that complement every lifestyle and occasion”, shared Parth Patel, Business Director, South Asia, DuPont Nutrition & Health. Increasing rates in consumption of alcoholic drinks, mineral water, carbonated beverages and sports and energy drinks with aroma and taste enhancement is likely to favor beverages application in liquid flavor market. People prefer sweet-tasting liquid. So, obviously everyone is inclined towards drinking something that tastes better than water. The clean drinking water is a reason for the surge in the bottled variety. Ramesh Chauhan, Chairman, Bisleri said that the quality of tap or municipal water is questionable by the consumers. This lack of trust is contributing significantly to the exponential growth of bottled, packaged water. Bisleri is registering 30 per cent growth year-on-year. When packaged well and offered at right price, this is sure to explode by people. Despite the steep increase in consumption and demand, purified water industry is not growing as quickly as it should be. Water processing units had to manage mounting operational cost, unprecedented competition from unauthorised players, stiff competition from purification gadgets and pressing regulatory constraints. There has not been a coordinated effort from processing units, distributors and retailers. Flavored water is still going through the initial resistance as every new innovation had to undergo before being accepted. So, it is the much needed diversification that water processing units are eagerly waiting for. Many units have understood that it makes complete business and economic sense to produce flavored water as they have a very narrow scope for growth and prosperity in their existing packaged drinking water business. Omni channel has opened Pandoras Box of Omnipresent opportunities for the retailers.